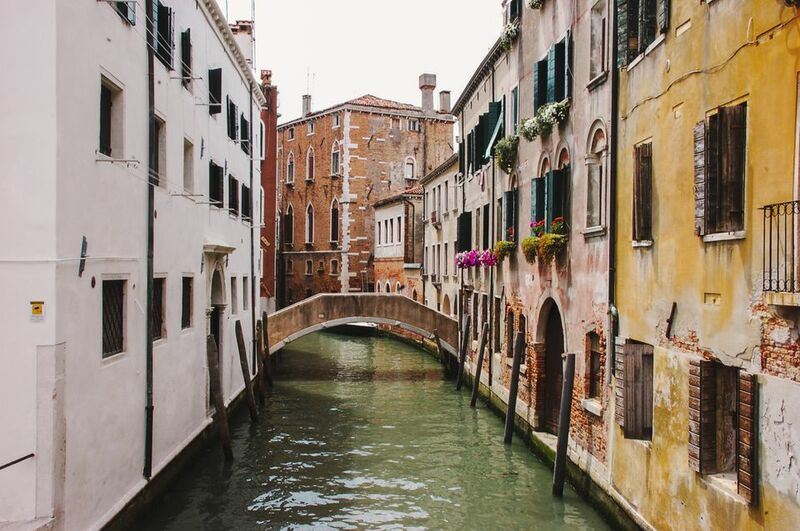 The top travel destinations in Italy include the 3 cities of Rome (Italy's capital), Venice, and Florence, the region of Tuscany, and the Amalfi Coast. Italy enjoys a predominantly Mediterranean (mild) climate with a colder Alpine climate in the mountains to the north and a hot and drier climate in the south. Italy's coasts are pleasant almost all year, although swimming is mostly limited to summer months. Much of Italy is very hot in summer and summer is the height of vacation season. Probably the best seasons to visit Italy are late spring and early fall. Italy is divided into 20 regions with 18 on the mainland and two islands, Sardinia and Sicily. Although they are all Italian, each region still holds some of their own customs and traditions and there are many regional food specialties. Italy's official language is Italian, but there are many regional dialects. German is spoken in the northeastern region of Trentino-Alto Adige and there are small French-speaking populations in the Valle d'Aosta region to the northwest and a Slovene-speaking minority in the Trieste area to the northeast. Many Sardinians still speak Sardo in the home. Italy uses the euro, the same currency used in most of Europe. 100 euro cents = 1 euro. At the time the Euro was adopted, its value was set at 1936.27 Italian Lire (the previous unit of currency). Italy's time is 2 hour ahead of Greenwich Mean Time (GMT+2) and it's in the Central European Time Zone. Daylight savings is in effect from the last Sunday of March through the last Sunday of October. Non-EU visitors to Italy need a valid Passport. The maximum length of stay for US citizens is 90 days. For longer stays, visitors will need a special permit. Visitors from some countries may be required to have a visa to enter Italy. EU visitors can enter Italy with only a national identity card. The main religion is Catholic but there are some small Protestant and Jewish communities and an increasing Muslim immigrant population. The seat of Catholicism is Vatican City, the Pope's residence. In Vatican City you can visit Saint Peter's Basilica, the Sistine Chapel, and the extensive Vatican Museums. For longer stays, an agriturismo or vacation rental is a good idea. These rentals are usually by the week and often include some kitchen facilities. Italy also has a good network of Hostels, offering budget lodging options. These are some common Hostel FAQs. Even with increasing costs and decreasing dollar value, Italy can still be affordable. See Free Things to Do in Italy and Tips for Italy Budget Travel for suggestions on how to save money on your vacation.